Posting a tad early because I have to work tonight. This week's #Friday56 & #IG56 comes from Marissa Meyer's graphic addition to The Lunar Chronicles. I did NOT know that Marissa Meyer had written a graphic novel. Looks great. Great 56 and I love the cover! I didn't realize Lunar Chronicles had a graphic novel and I wonder why it doesn't carry a recognizable name. 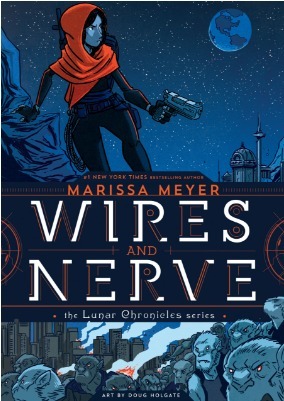 I almost forgot about Wires and Nerves, but I actually need to finish the rest of the Lunar Chronicles series first. This looks really cool. I love graphic novels! Have an ab fab weekend! 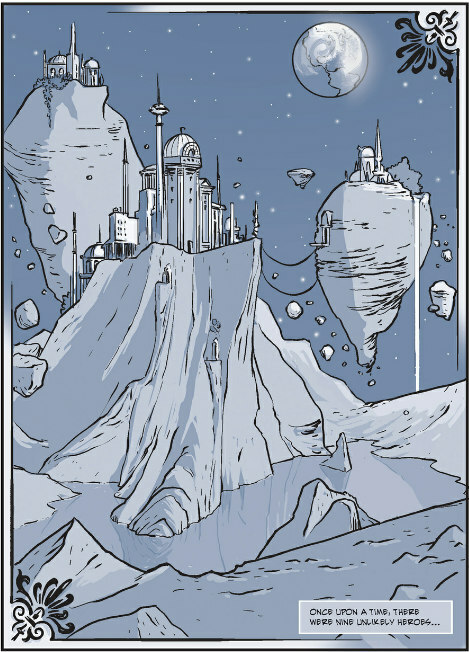 I enjoyed revisiting the world of the Lunar Chronicles again through graphic novel. Iko was one of my favorite characters. Enjoy! I loved The Lunar Chronicles and want this very much! Have a great weekend, Freda. This is on my TBR> It looks so good and I'm not even much of a graphic novel fan. Hope you're enjoying it! I'm not a big fan of graphic novels but I love this series and the book looks cool. Happy reading! How cool, I really liked Cinder! Marissa doing a graphic novel is very cool and it looks good. I've been reading a lot of graphic novels lately. This one is one I may have to look out for. My daughter has read and enjoyed the Lunar Chronicles, but I'm not sure if she's seen this yet. I'll need to let her know about it. I haven't gotten into graphic novels. Looks like I need to expand my reading horizons! Looks like a fun read - enjoy! I've only just gotten into graphic novels this year. Hope you enjoy your weekend!